Former compiler/mixers of the Trance Nation series have included Above & Beyond, Lange and Andy Moor, as well as Ferry Corsten, Cosmic Gate and Rank 1. Now, joining the list, and for the first time bringing the series some Eastern spirit, Ministry of Sound welcome Egypt’s Aly & Fila to the Trance Nation honour roll. With music procured studio-fresh direct from the desks of some of their most trusted production legion, Aly & Fila’s Trance Nation contains 14 exclusives. It also features work from the likes of John O’Callaghan, Thrillseekers, Lange, John Askew, Ronski Speed and Aly & Fila themselves. 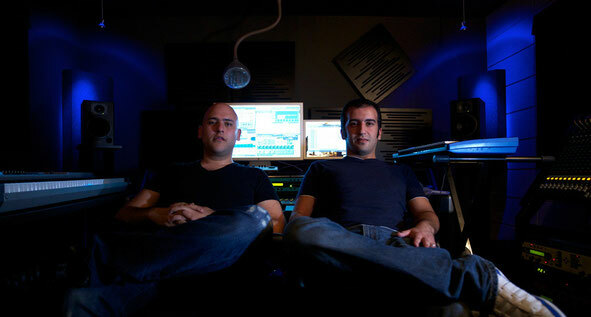 Sourced from some of Europe most established and reliable trance houses (Armada, Black Hole Recordings, Garuda, Subculture and A&F’s own Future Sound Of Egypt), Aly & Fila have included music from some of the scene’s fast-tracking young-bloods. James Dymond's ‘Solidus’, ‘Next Level’ from Irish pairing Sneijder & Bryan Kearney and A&F’s re-paint of Luke Bond & Roxanne Emery‘s ‘On Fire’ are all on board. Neptune Project’s ‘Lost All My Tears’ opens the gateway, Andain’s ‘Beautiful Things’ and Aly & Fila/John O Callaghan collab ‘Your Heart Is Mine’ (in their newly remixed Fady & Mina forms) swell the sonics, as do the drums of John Askew’s ‘Mechanism’ and Ronski Speed’s ‘Fiero’. Mix 1’s final trance peaks are scaled by Thrillseekers & Standerwick’s ‘Like They Used To’ and John O'Callaghan’s ‘One Special Particle’. Aly & Fila: “The Trance Nation compilations are legendary; we listened to the original volumes mixed by Ferry Corsten over and over until we wore the CDs out. They were, and still are amazing compilations; we are very proud to have been asked to mix the latest volume!" Mix 2 dawns with Liam Wilson’s ‘Adventures In Stereo’, which syntheses Goa and Psy elements into T.N.’s make-up. Its tough trance stance is further developed by A & Z vs. Allen & Envy 303-ride ‘Osiris’, whilst synth-slinger Photographer scripts evermore uplift and energy into A&F’s epic ‘Laily’.Supplying a box-out preview of Future Sound of Egypt’s summer catalogue, the early to mid sections of Disc 2, bring an onrush of Aly & Fila’s label’s ‘forthcomings’. ‘Unbreakable’ from Temple One, Will Atkinson’s ‘Eternally’, ‘Sailing Airwaves’ - ReOrder & Ian Standerwick new SkyPatrol’s outing and Standerwick’s own ballistic ‘Valyrian’ keep the mix's needle firmly on the red line. As it reaches its culminating heights, the O’Callaghan remix of Lange’s ‘Unfamiliar Truth’ and Bryan Kearney and Will Atkinson respective rebuilds of Aly & Fila’s ‘Where To Now’ and ‘Mother Nature’ gives it its finale. It’s out 26 May.